Ken Hayward is executive vice president and managing director of Grand Hotel, the award-winning hotel built on Mackinac Island in 1887. He joined the hotel staff in 1985 and received several promotions. He was appointed by the governor to the Michigan Travel Commission in 2005 and served as its chair during the development of the Pure Michigan ad campaign. 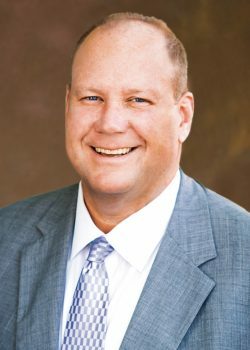 He also serves on the board of the Michigan Chamber of Commerce and is active in the American Hotel & Lodging Association and Meeting Professionals International. He is a graduate of the University of Michigan and was elected to the MRA board in 2016.